Use this as a tool with your students to shape your learning environment. 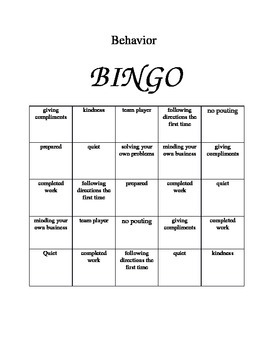 Focused on the attributed of basic classroom management, this is a fun way to engage students and encourage them to behave appropriately. Play to "black-out" for a big reward!